The only thing I have to complain about during my recent five nights in Quebec City was that my hubby wasn't there. 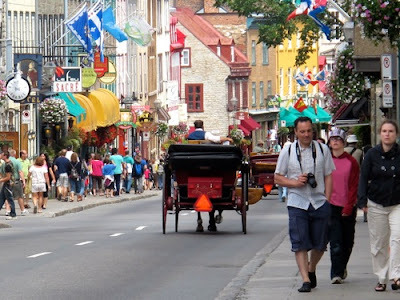 Quebec City is my choice as Most Romantic City in North America, and the perfect place to share it with somebody you love. Founded in 1608 by Samuel de Champlain at Place-Royale, Old Quebec (Vieux-Quebec) is a UNESCO World Heritage Site. As the only fortified city in North America, it's a magical place that continues to lure me in. I've been to the capital of La Belle Province three out of the four seasons: summer, fall and winter. Whatever the month, it's a treat for the senses. During this particular summer adventure, I attended the 15th annual New France Festival held each August. Who knew that dressing up in costumes could be so much fun? 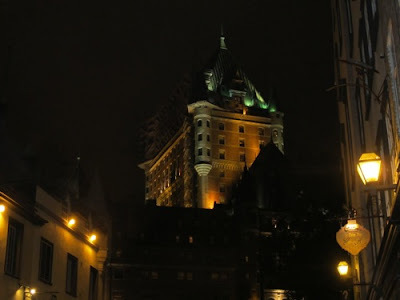 Plus, my home base was a perfect match -- the iconic Fairmont Le Chateau Frontenac, high on the hill in Upper Town. The 1893 castle overlooks the Saint-Lawrence River and is said to be the most photographed hotel in the world. 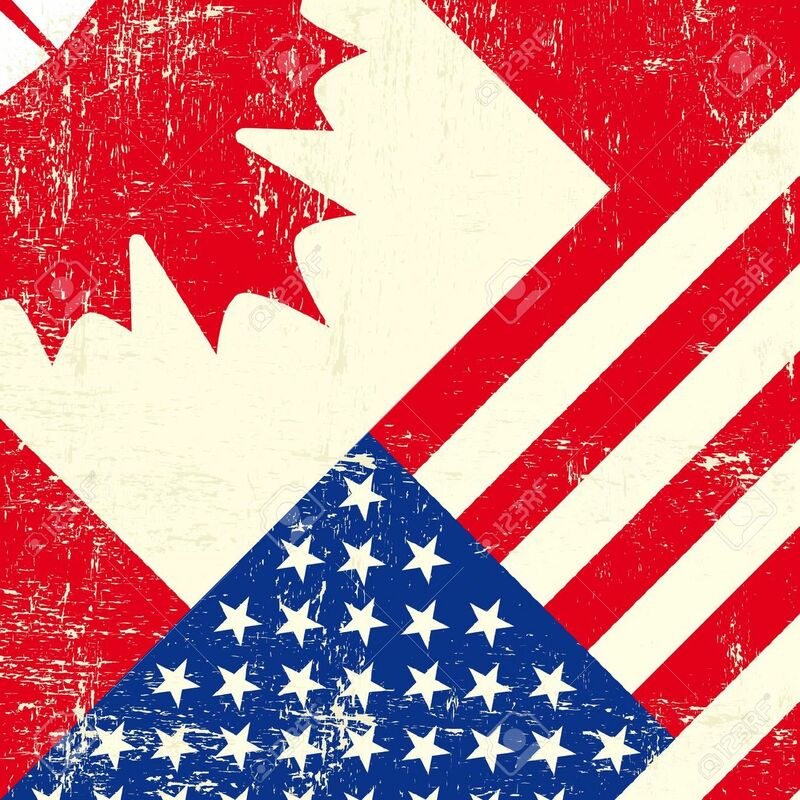 Recommended Restos: Simple Snack Sympathque (SSS) on rue Saint-Paul (lunch and dinner); Savini Resto-Bar on Grande Allee Est (lunch and dinner); Brulerie Tatum on rue Saint-Jean (casual breakfast-lunch-dinner); and the elegant Le Champlain at the Chateau Frontenac for a romantic dinner. For coffee, Les Cafe du Soleil on rue Saint-Paul is a nice spot to sip a morning cappuccino at one of the outdoor tables. Fun Stuff: Visit the Musee du Fort, with its historic re-creation of the six sieges of Quebec City. Stroll the Plains of Abraham and stop in at the Citadell, which has year-round guided tours and Changing of the Guard in the summer. Walk the nearly 4.6 km that make up the Fortifications of Quebec. 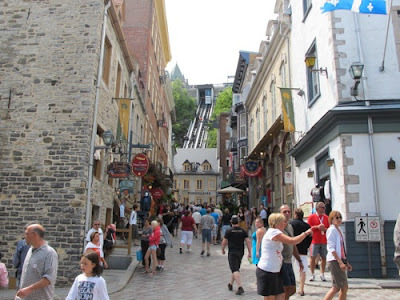 Take the funicular from Upper Town to Lower Town, landing in the heart of Quartier Petit Champlain; or take the Case-Cou (Breakneck) staircase. Nearby is Place Royale, with its immense Fresque des Quebecois fresco, and one of the film locales of the 2002 movie Catch Me If You Can. Notre-Dame-des-Victoires Church is located here, and is the oldest stone church in North America (1688). 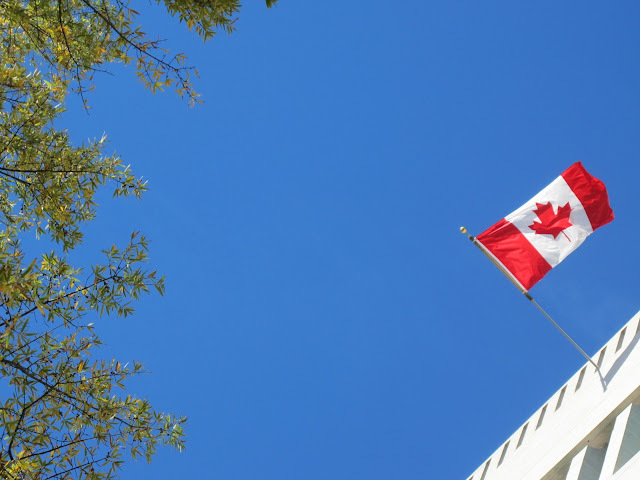 The city's most popular museum is Musee de la Civilisation, located in Vieux-Port (Old Port). Back in Upper Town, Parliament Hill is crowned by the Parliament Building and the Fontaine de Tourny, a fountain donated to the city that was purchased by the Simons family for $4 million at a Parisian flea market. Just down the hill is the Faubourg Saint-Jean district, a colorful neighborhood with a variety of cool shops and restos. Shop at the oldest grocery store in North America, J.A. Moisan (1871), which includes a four-room bed & breakfast upstairs. And if you're looking for a new do, book an appointment with Melanie or Vincent at Vincent Coiffeur on rue Saint-Paul. Free Summer Events: Les Chemin Invisibles due Cirque du Soleil and The Image Mill 3D. 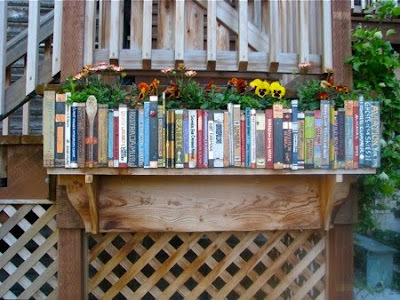 I saw both outdoor events, and was impressed by their high caliber of creativity. Bravo! Encore! 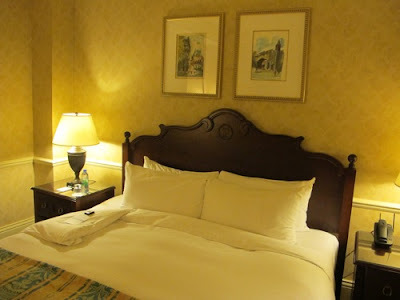 Fairmont Le Chateau Frontenac #5255 has a view of the Saint Lawrence River. 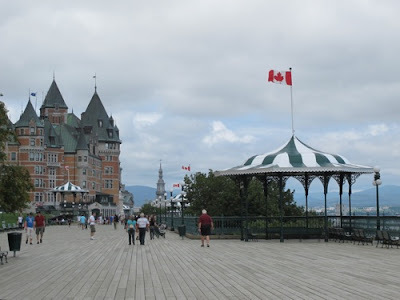 Dufferin Terrace at Fairmont Le Chateau Frontenac features a long boardwalk. Quartier Petite Champlain is a funicular ride away from the Chateau Frontenac. 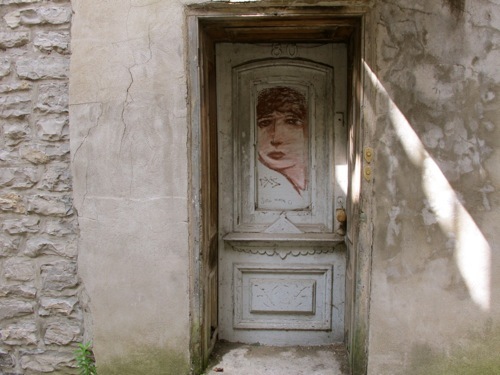 A creative back door of an art gallery in Quebec City's Vieux-Port (Old Port). Fairmont Le Chateau Frontenac overlooks Cap Diamant and glows brightly at night. The New France Festival opening night parade features costumed characters. 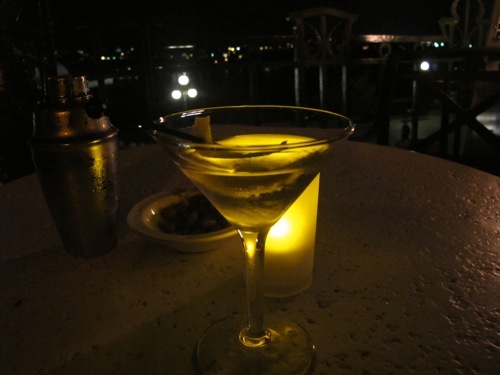 Enjoy a nightcap on the patio at Bar Saint-Laurent at Fairmont Le Chateau Frontenac.